Christmas is a month-long event which starts from the shopping fun the day after Thanksgiving and goes up to after New Year. There is nothing more enjoyable than getting your Xmas tree and decorating it. It's a time to spend with family doing an activity that you can enjoy during the Christmas season. Like all good things, the holiday season must come to an end. If you have chosen a live tree to decorate your house, you'll have to dispose it off when the season is over. A tree may be a big responsibility, and if not handled properly, may cause lots of problems. 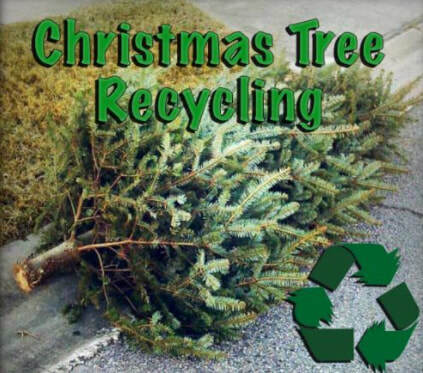 At South Bend Junk Removal we can help with Christmas tree recycling in South Bend IN and take the stress of tree disposal off your shoulders. There are a number of dangers posed by improper Christmas tree disposal. What many people don't know is that the tree may become a fire hazard if it's allowed to dry out in a place where it can catch fire easily. Also, not removing the decorations properly may attract birds and other animals, who may get sick or die from eating them. Improper disposal of a Christmas tree is also against the local laws and regulations- you may end up incurring heavy fines because you didn't follow the rules when disposing of your tree. Why take the risk? We at South Bend Junk Removal value the significance of a good environment. That's why we encourage you not to get rid of your tree carelessly. Instead, our Christmas tree removal experts can come, pick it up and recycle it. Many families choose to get rid of their Christmas trees themselves. They just throw it in the trash can for it to be hauled away. However, this is not always a wise decision; it can be recycled. Recycling is fun, easy and helps to protect our environment. At our junk removal company, we are passionate about going green. A discarded Christmas tree can be a treasure to the environment, and it'll take little effort to make it happen. Even though the holidays may be over, the life of your tree lives on. Christmas tree recycling South Bend has many benefits including mulching for public reservations, preventing erosion, and can be an invaluable asset to fish habitats. To make the recycling work easier for us, you just need to remove all the Christmas decorations on the tree such as Christmas lights, Tinsel, and other ornaments. Recycling in the most cost-effective way with a focus on environment-friendly procedures is the key to protecting the Mother Nature. Our experts in recycling and disposal services can provide you with a perfect solution by developing the right solutions for your needs. Our services encompass activities such as Christmas tree pickup, transportation, processing, and recycling. By hiring South Bend Junk Removal, you are guaranteed that the disposal of your Christmas tree is safe and legal.